You want a ‘traditional’ 4X4? Then buy now… Here’s a guide to the few remaining live-axled or manual transmission 4x4s on sale in Australia. UPDATED: September 2016: added Great Wall Steed, manual diesel, Foton Tunland, Tata Xenon. 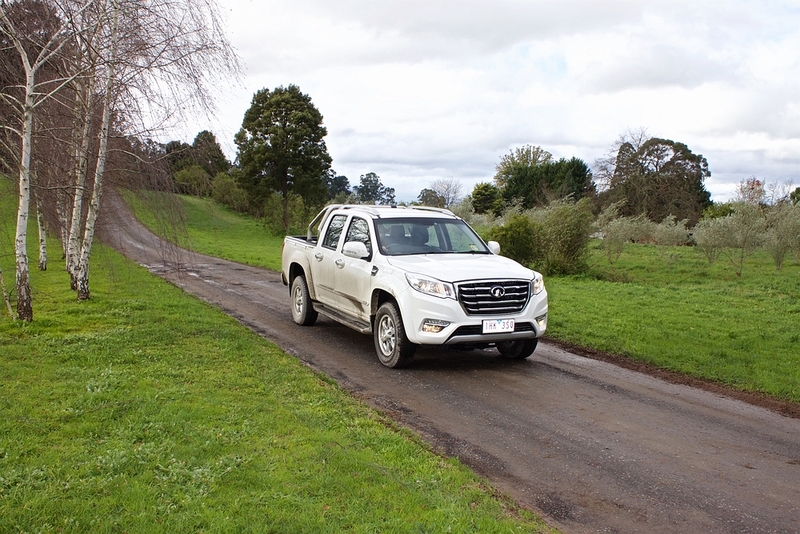 UPDATED: April 2016: removed Nissan Patrol GU which means we lose not only a manual optioned 4WD, but a live-axled wagon and ute. UPDATED: March 2016: removed Mitsubishi Challenger which has been replaced by the automatic-only Mitsubishi Pajero Sport, and Land Rover Defender which has been discontinued. Added Toyota Fortuner. UPDATE: September 2017: added LDV T60. Live axles certainly have their place in the offroading world. They make vehicles easy to modify, are simple and strong. They also offer unparalleled suspension flex. But with the advent of electronic traction control, suspension flex has become less important, and at the same time the market demands better onroad handling. Then there’s the fact live axles are heavy, and with all that combined the death of the live axle isn’t far off. Manual transmissions are also dying, and for good reason. Autos are easier to drive, better on and off-road, smoother, offer more ratios and now better fuel economy. There’s no practical reason to buy a manual any more – but I would for a fun car, especially a sports car, because for me changing gears is part of the enjoyment of driving. However, I’d take autos for touring vehicles or city commuters any day. There are also some reliability arguments for manuals which are explored here and in the comments below. So this post is here to track the number of vehicles with live axles front and rear you can buy on the Australian market, and those 4WDs with manual transmissions. As time goes on the numbers will dwindle to nothing – let’s see how long it takes. Land Rover Defender (wagon/ute) no longer available. Replacement not known, and it may not include a manual version. The Defender is now gone, the 70 can’t be far off either, despite recent updates, and the Patrol Y61 GU has finally been discontinued, completely replaced by the Y62. It is an interesting question as to how long the G-Wagen will last as it’s expensive to build and low volume. The Jimny has had a stay of execution thanks to introduction of stability control, but its aged chassis can’t continue forever and the vehicle needs an overall major update. We do know the next Wrangler will retain live axles, and it is our bet that this will be the very last dual-beam-axle vehicle to be sold in Australia. Buy these cars while you can! Not all trim grades and engines are available with manuals (or autos). Mitsubishi Challenger replaced by Pajero Sport. No manual version. * Only available with a manual.